Since we launched Robinhood Crypto in February, our customers have voiced interest in buying and selling other cryptocurrencies beyond Bitcoin and Ethereum. We’re happy to share that starting today, you can buy and sell Litecoin and Bitcoin Cash, commission-free. 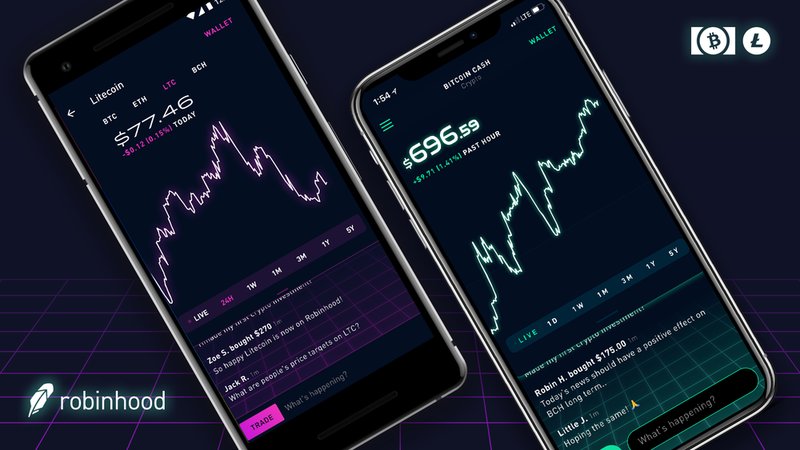 We’re working hard to make Robinhood Crypto available to everyone, and it’s currently available in 17 states: AZ, CA, CO, FL, IN, MA, MI, MS, MO, MT, NJ, NM, PA, TX, UT, VA, and WI. We also plan to further expand our coin offerings and add support for coin transfers. In the meantime, everyone on Robinhood can monitor market data, read cryptocurrency news, and create price alerts for 16 coins: Bitcoin, Ethereum, Litecoin, Bitcoin Cash, Ripple, Ethereum Classic, Zcash, Monero, Dash, Stellar, Qtum, Bitcoin Gold, OmiseGo, NEO, Lisk, and Dogecoin. Thank you for all of your enthusiasm and product feedback, especially over the past several months. Together, we’ve reached over 5 million people across the entire Robinhood platform, and we look forward to sharing Robinhood with millions more so everyone can participate in the financial system. You can learn about Litecoin and Bitcoin Cash on our Help Center.